The world’s longest network of recreational trails was approved for an expansion through Halifax on Tuesday. 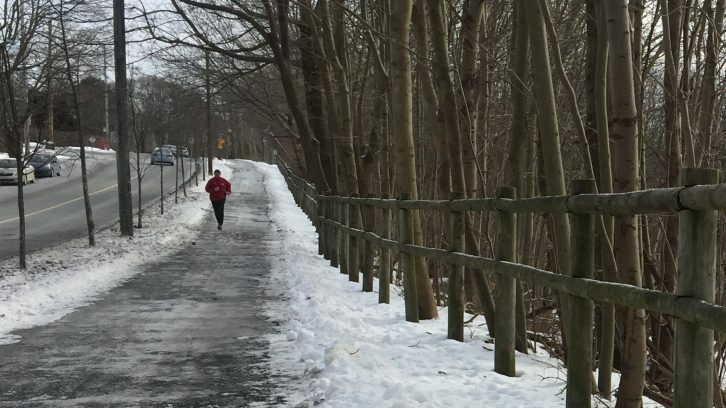 Halifax Regional Council passed a motion to endorse an interim plan for the completion of the Trans Canada Trail (TCT) through the Halifax Regional Municipality. The interim trail extensions are part of an effort to connect routes through the HRM in an attempt to make the TCT run unbroken across the country in time for Canada’s 150th birthday celebration on July 1. These new trails would connect already existing ones to the 20,000+ km network of Trans Canada trails, enabling walkers or cyclers to traverse the municipality, province and even country. As of now, the “great trail” connects all 13 provinces and territories and, according to the Trans Canada Trail website, is 91 per cent complete. “Nova Scotia lags behind other provinces with implementing the Trans Canada Trail system, so I’m glad to see this,” said District 14 councillor Lisa Blackburn during session. Only supportive responses were heard from the other councillors before the motion passed. The support was not surprising given the municipality’s push to get people out of cars with initiatives such as the active transportation program and integrated mobility plan. A Transportation Standing Committee document also states “there are no financial implications” to the trail expansion. All signage, posts and cost of installation are to be provided by the Trans Canada Trail Foundation. Joel Musgrave is a Halifax resident who frequently cycles in, and outside of, the HRM. “If (the Trans Canada Trail Foundation is) paying for it, this is a win-win in my books,” said Musgrave while at Mountain Equipment Co-op in downtown Halifax. Lane is hopeful about the goal to complete the interim trails in time Canada 150 and believes “an increased budget and the city’s pledge to increase active transportation” will help achieve that goal. The motion also pledges to continue to work with the Trans Canada Trails Foundation to fully complete the trails over the next couple years.